Does The Ipad Have Potential For Education? Teaching students...one app at a time. 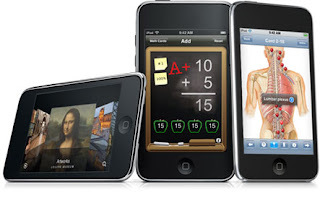 iPhone, iPod Touch and iPad apps are transforming the way teachers teach and students learn. That's right, move over Millennials, you are not the younger generation anymore. Today all eyes are on the 'iGeneration'. Teens, ages 12-17, have been coined the 'iGeneration' for their use of technology products like the iPhone and Wii gaming system; additionally, they have an 'I' or individualized, customizable attitude. The iGeneration has the world at their fingertips when it comes to technology, and they are only limited by budget when it comes to getting their hands on items like Apple's new iPad. Just how hardwired is the iGeneration for digital connections? Change is happening fast, and as you can see by this graph technology devices are not only in the hands of today's students but they are one of the main instruments used to access information. Thus, one may inference that the education field needs to embrace this technology and use it, to close the student-teacher information-gap. Researchers and educators have agreed that the iPad definitely has a place in the classroom, but they could be cost-prohibitive. Currently, some schools are using Notebooks which cost about $150 each compared to the iPad ranging from $499 to $899. Nonetheless, some educators have gone so far as to say they would consider purchasing their own iPad to bring into the classroom. Teachers agree that the device's touch screen would be very useful, especially if they could hook the iPad up to the projector; it would make classroom presentations much easier. 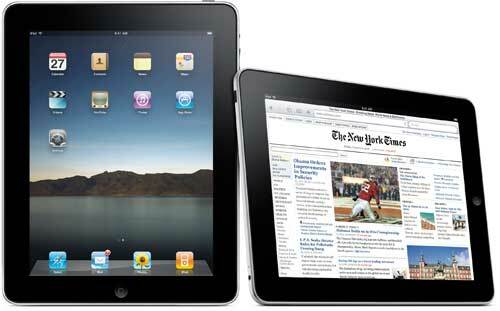 What makes the iPad different, and perhaps more useful within the educational field, from other handheld devices? The iPad has its own software development kit; the iPad runs on the core iPhone operating system, but it is a new platform with more screen real estate and more memory and storage space. As a result, this may allow a whole new class of gaming and educational apps to come to market. Textbooks, for example, may look and feel very different in a just a few years, thanks in part to the introduction of the iPad. Educators will no longer be thinking in terms of static publications, instead they will be using dynamic content with animation, movies, video, and other multimedia built into it. Ultimately, the iPad could lead to building interactive, dynamic applications that students can carry around with them. From math games to vocabulary flash cards to anatomy visualizers, there is an app for every subject and every level of instruction — from preschool to higher education. Read more about how schools are integrating apps into the classroom here. What do you think, Notebook or iPad? Or should we ask those in charge of funding, what is more realistic Notebook or iPad?